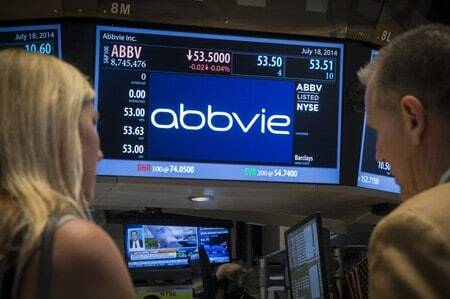 (Reuters) – AbbVie Inc said on Friday its blockbuster cancer treatment in combination with chemotherapy agents failed to meet the main goal in a late-stage study of patients with a form of pancreatic cancer. The treatment, Imbruvica, failed to show statistically significant improvement in progression-free survival (PFS) or overall survival in metastatic pancreatic cancer patients, compared with the combination of placebo and two chemotherapy agents. The American Cancer society estimates that pancreatic cancer accounts for about 3 percent of all cancers in the United States and about 7 percent of all cancer deaths, and expects that 56,770 people will be diagnosed with pancreatic cancer in 2019. Imbruvica, jointly sold with Johnson and Johnson, is an oral drug designed to target an enzyme known as Bruton’s tyrosine kinase and block the function of certain cancerous cells. The drug improved survival in blood cancer patients in a separate late-stage study in December. Imbruvica, which brought in revenue of $2.57 billion for AbbVie in 2017, was first approved in November 2013 and is used to treat several forms of cancer, including mantle cell lymphoma and chronic lymphocytic leukemia. The drug is currently approved by the U.S. Food and Drug Administration in six disease areas with nine treatment indications, AbbVie said.